Wondermark » Archive » Submit to Machine of Death VOLUME 2! 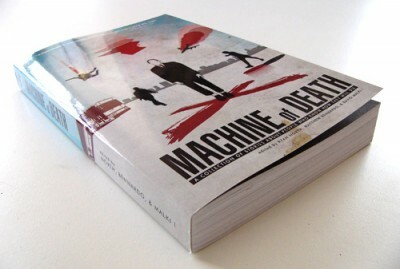 Machine of Death — the short story collection that I put together with Ryan North and Matthew Bennardo — continues to do great. We’re well past 20,000 copies sold, with no end in sight, and we were one of Amazon’s best-selling books of 2010. The reviews have continued to be overwhelmingly positive, and we keep doing strange things like inviting you to send us things in the mail. Now we’re doing another whole book! Because why not. We expect the book will be out sometime in the middle of next year. But before we release the book, we need to make the book! 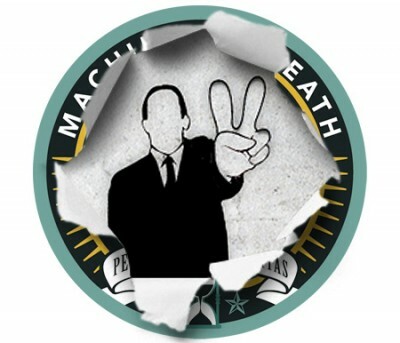 Through July 15, 2011, we are accepting submissions of short stories and art portfolios for Machine of Death Volume 2. Are you hoping to see more genres come in? Not just SF, but fantasy, romance, steampunk, pulp, and so on? DM: Yes, absolutely! The first anthology wasn’t “hard” SF anyway, though the SF audience seems to have embraced it and it’s now found on SF shelves in bookstores. But breaking out of genre is one of the great ways we hope to see folks broaden the content of the second volume. And much more cool stuff in the archives at machineofdeath.net. Add the MOD RSS to your reader, or like us on Facebook, to stay up-to-date on MOD stuff! We keep coming up with new weird things to try, many of which you can be a part of. The deadline for MOD2 submissions is July 15, so get cracking! And of course, if you don’t know what any of this is about, you can check out Machine of Death Volume 1 as a free PDF, free podcast, or grab a copy in paper or electrons. This entry was posted on Thursday, June 9th, 2011 at 1:33 am and is filed under Blog. You can follow any responses to this entry through the RSS 2.0 feed. Both comments and pings are currently closed. Crap. Now I have to actually go and finish my story. In a month! I can’t believe you did this to me.